Not content with winning both the driver and constructor championships this month, Red Bull Racing have found time to put together an animated preview of the sole newcomer to this season's schedule, the Indian Grand Prix at the Buddh International Circuit (BIC). The 5.4 km clockwise circuit, featuring 16 turns is expected to be one of the fastest on the calendar. 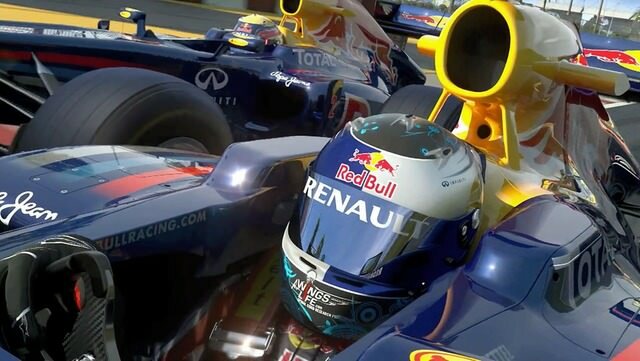 Ahead of the inaugural race this month, Mark Webber is your guide for a flying lap of the BIC. Subscribe to our HD feed for the best quality video. This virtual lap comes on the back of previous efforts for debut F1 races at Singapore and Korea. AixSponza are again the geniuses behind the feature, but one wonders why they made the place look flatter than Monza. The track supposedly features fourteen metres of elevation change in the first three corners, while the double-apex bend at the back of the circuit is banked. It will be interesting to compare the two when F1 arrives at the real track in just over a week. If you managed to keep hold of a pair of those red/blue cardboard glasses they gave away in cereal packs in the 80's, there's an anaglyph version of this preview available from Red Bull too. Nope, we don't know why either.